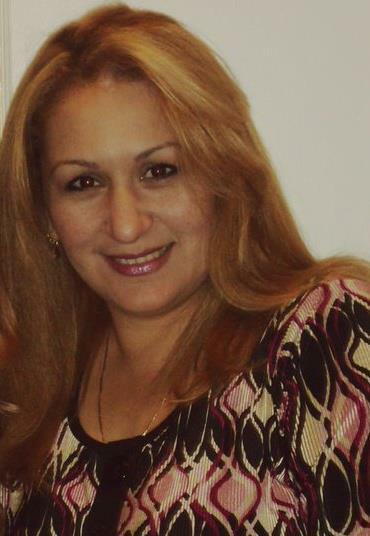 My name is Ermelinda Deida and I am a home daycare provider. I am also mom to 5 wonderful kids and a beautiful granddaughter. Caring for children has been my passion for as long as I can remember. I have formally worked in foster caring for over 15 years. 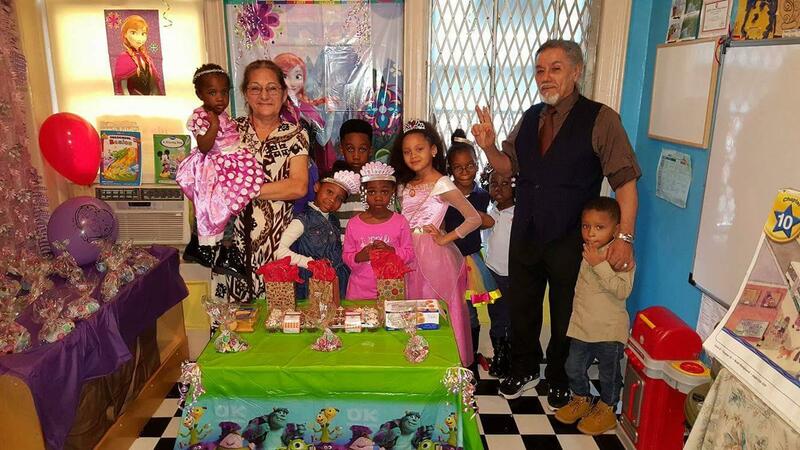 I have worked as a private nanny and a head preschool teacher as well as running my own home daycare. I have excellent references available from both past and present clients. 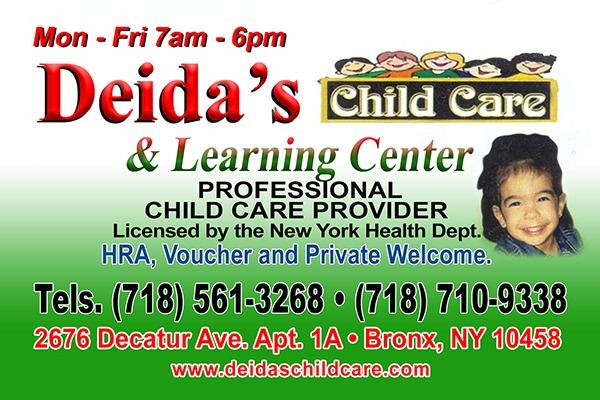 Deida's Child Care & Learning Center offers a loving and caring environment just like home located in the Bronx, New York. We spend our days playing, learning, and exploring. I offer age appropriate toys and activities to allow your child to explore their creative side. I have weekly themes and daily lessons to help your child discover their love of learning. I offer both indoor and outdoor playtime each day, arts and crafts, daily story time, and music appreciation in a smoke free home environment. Welcome to Deida's Child Care & Learning Center website. We have designed this site to show many of the various aspects of our wonderful school. We are proud of our many activities both in and out of the classroom, and now we have a way to keep the community up to date on our active and always changing school. Our mission is more then just teaching the basics. We offer a strong, values-based curriculum which helps students learn how to make thoughtful and caring choices. Every child is treated as an individual that has distinctive qualities and faces unique challenges. We work from day one to prepare our students for the academic, emotional and personal challenges they will meet after they graduate. Take your time and learn about our school from this website, and then give us a call at 718-561-3268 to schedule a visit. You’ll enjoy seeing our beautiful facility, meeting our students and faculty and discovering our very special Deida's Child Care & Learning Center community. "Let Your Child Grow in Faith, Love, Confidence & Independence"